SEA GIRT, NJ--(Marketwired - Dec 11, 2013) - "Most people who have had impressions taken of their teeth at one time or another will likely attest to the fact that the experience is less than enjoyable," writes New Jersey orthodontist Patrick Cuozzo, DDS to begin a recent blog post. In the entry -- titled Advantages of Taking Tooth Impressions With iTero™ -- Dr. Cuozzo highlights his new tooth impression technology called iTero™, depicting it as a more comfortable alternative to the "messy, putty-like molds" traditionally used to take tooth impressions. In regard to how the iTero™ system works, Dr. Cuozzo's website reveals that a specialized wand deploying a combination of air and light is scanned over each individual tooth. The data received from this scan is then displayed as a digital impression on a chairside monitor for the patient to view within minutes of completion. Utilizing this precise digital impression and the innovative iTero™ technology, Dr. Cuozzo can then simulate results that the patient may be able to attain through Invisalign®, as well as more accurately fabricate the patient's customized aligners in an effort to achieve these results effectively and efficiently. Referencing the ease of the entire impression process, Dr. Cuozzo concludes the blog post stating: "In the end, using the iTero™ system for tooth impressions is as easy as taking a picture of your tooth." Dr. Cuozzo graduated from the University of Maryland Dental School and earned his Certificate of Specialty at the University of Pennsylvania School of Dental Medicine. 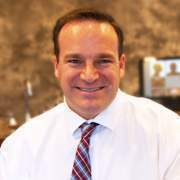 He is a board-certified orthodontist and also a member of the American Dental Association, the American Association of Orthodontists and the New Jersey Association of Orthodontists. Additionally, he has been honored as one of New Jersey's Top Orthodontic Specialists several times. Dr. Cuozzo is available for interview upon request. For more information about Dr. Cuozzo and his New Jersey orthodontic practice, visit 4straightteeth.com, plus.google.com/105507884179382521951/about, and facebook.com/CuozzoOrthodonticSpecialists. To view the original source of this press release, click here: http://www.4straightteeth.com/practice-news/orthodontist-in-new-jersey-offers-more-comfortable-tooth-impression-technique/.